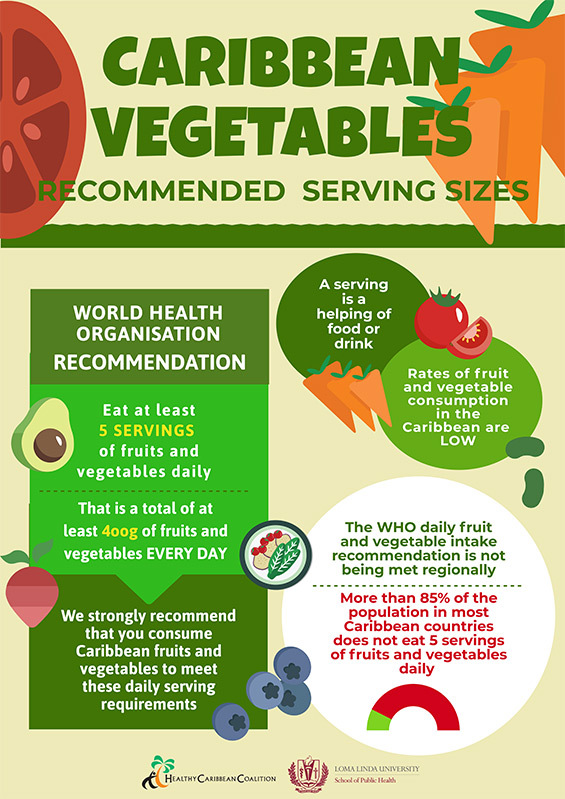 Raise awareness around quantity of fruits and vegetables you need to eat each day to meet the WHO daily recommendation of 5 servings of fruits and vegetables a day. 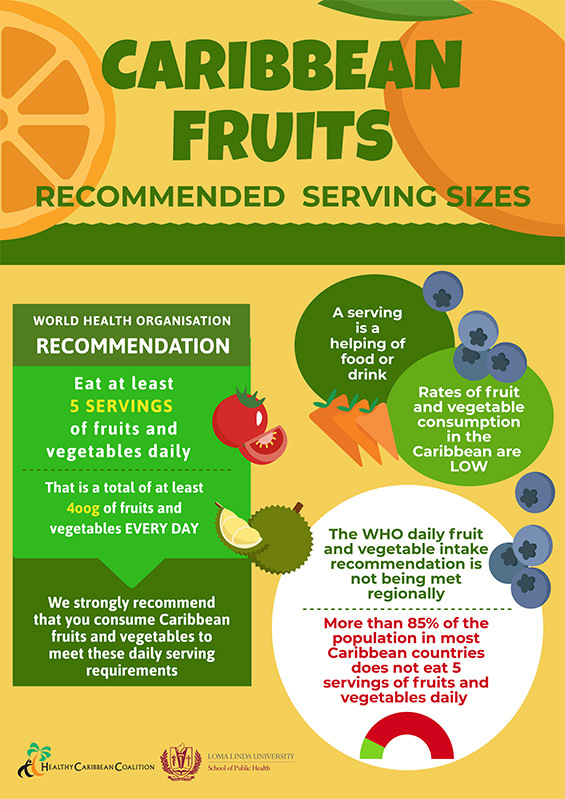 Educate the public about the size of a single serving of common Caribbean fruits and vegetables. 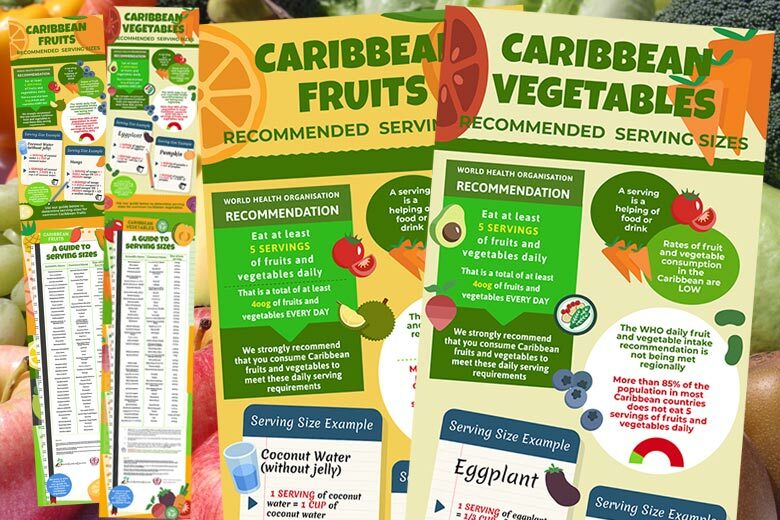 Provide examples of how to calculate the servings of Caribbean fruits and vegetables you have consumed for the day. It is worth noting that starchy ground provisions, including potato, sweet potato and cassava – which are widely consumed throughout the region – do not count towards the WHO daily fruit and vegetable intake recommendation1. Click/tap on the images below to see/download the full size pdf version.